Lincoln looooves noodles. So, we do end up having noodles for lunch fairly often around here. I try to mix it up so it isn't always mac 'n cheese (although, I think he might prefer it that way...). This combo takes about 11 minutes to throw together (that includes the 10 minutes you'll need to cook the noodles). 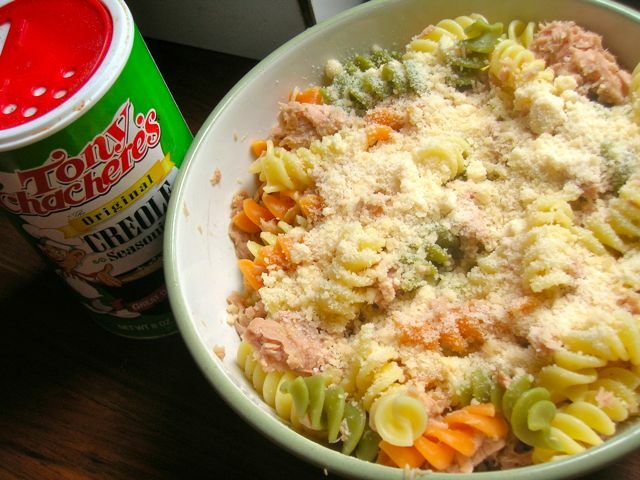 I know not everyone is a fan of tuna. I have also made this with salmon (yummy!) and think chickpeas would be nice as well, if you don't eat fish. 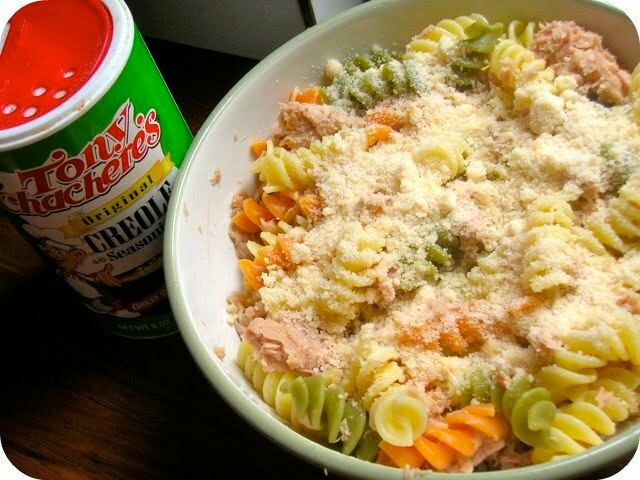 Combine tuna and noodles in a bowl. Top with cheese and season with Cajun seasoning. Yum!